Cloud Forests are more lush and cooler than lowland Rainforests. Another difference is that Rainforests have larger, silt laden, slow moving rivers, while Cloud Forests are characterized by fast moving, clear rocky rivers. Cloud forests have beautiful overlooks due to the irregular, mountainous terrain. This is important in the distribution of species. 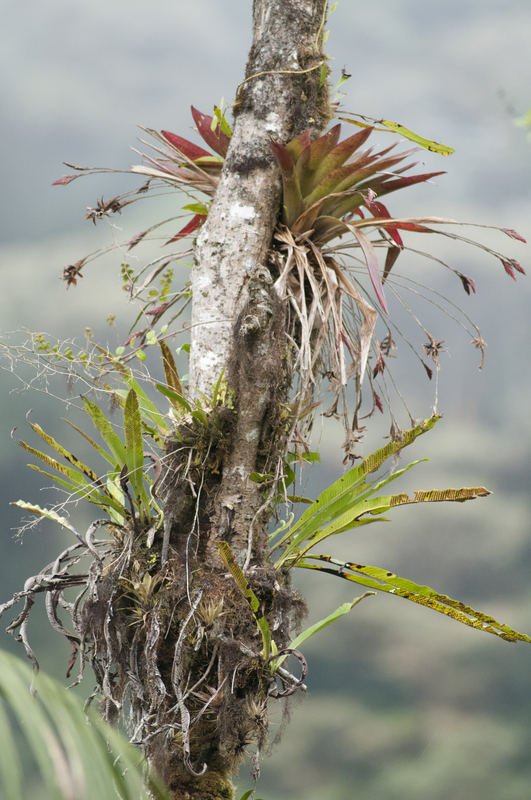 Cloud Forests, because of natural barriers, have many range restricted or endemic species, e.g. many tree species and epiphytes, such as Orchids.